New for 2009, Can am offers 3 different packages for the DS450. They have the stock version, they have a MX version with wide travel and then they have a XC package. That is cool for someone who wants to buy a quad and just go race. The new DS450 X MX sounds pretty good. And I like the new red and white plastic. Will they still have the yellow model though? I can't see them getting rid of their trade mark yellow. That would be like Honda not offering red. EASY, you're with friends. This is a safe place, let the excersism begin. Trying to get everything ready for birthday desert trip . 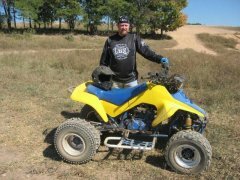 2003 Bombardier Outlander 400 4x4 ATV. Low hours/low miles. Very good condition. With front/rear bumpers, padded seat cover, rear storage bag & electric winch with Kevlar cable. New battery, recent pro carb rebuild. Runs great. Electric start. Pull start needs repair. 2004 Compliment aluminum trailer w/wood deck. Built in aluminum ramps and spare tire. Fits 2 quads & 1 dirt bike. Has removable wheel chock for dirt bike/motorcycle. Low mileage. Very good condition. Asking $3100 for both. Located in Long Island, NY. You may remember last year you received from us, sport club 4x4 Adventure, invitations and news about the professional QUAD competition in Bulgaria called ATV Challenge Cup. In the last October 94 competitors from 4 different countries in 5 classes competed on a professional off road track. After the successful debut of ATV Challenge Cup 2007, its perfect organization, evaluated by UEM representatives and the competitors themselves, the challenges of the competitive track and the attractive awards, ATV Commission, part of the Bulgarian Motorcycle Federation, and club 4x4 Adventure proudly invite you to take part in East European ATV Championship – ATV CHALLENGE CUP BULGARIA 2009. The championship consists of 3 rounds in Bulgaria. 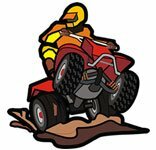 If you have a QUAD, like tracks designed for skillful riding with speed stages, artificial and natural obstacles and great audience, who applause and stimulates the competitors, ATV Challenge Cup Bulgaria 2009 is your championship. The professional off-road track “Dalbok Dol” is especially build for this championship and covers all FIM and UEM rules for World and European Quad Championships. Organizers of ATV Challenge Cup Bulgaria 2009 are ATV Commission of Bulgarian Motorcycle Federation and sport club 4x4 Adventure. 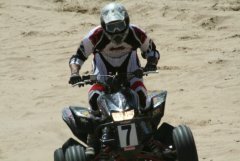 The prize fund for ATV Challenge Cup Bulgaria 2009 is over 20 000 Euro. I am new here and this my first time that I write here. I own Yamaha Kodiak 400 4X4 1993 that I am Restoring. I'm starting this thread for random entries on what we can all find out, about what will be new for 2011. ATV model changes, new atvs in a manufacturer's line up etc. So if you found something online, read something, saw a picture...post it up! Available in Red and Olive colors. Available in Red, Olive and Natural Gear Camouflage. Arctic Cat has unveiled a handful of early release models for 2010. The Minnesota-based manufacturer is mostly showing off some new paint, but the smallest member of the Prowler family has been given a new “XT” package of eye-catching and functional goodies, while the ATV lineup is highlighted by a 700 TRV without the cruiser trim. Of course, these are only the early release models and if 2009 is any indication we can expect a much bigger splash from Arctic Cat in the coming months. For those with short memories, Arctic Cat went hog wild in 2009 with a veritable cornucopia of new and updated ATV models headlined by the TRV 1000 H2 Cruiser, as well as a brand new 550cc powerplant. In addition, the 2009 Prowler lineup was bolstered by the high-powered 1000 H2 XTZ and the 550 Flat Bed. Arctic Cat has an all-new Advantage Timber Camo pattern in the 700H1 EFI and 550H1 EFI for 2010. According to Arctic Cat, the latest consumer analysis shows that Camo ranks very high in color preference. In fact, just 54 percent buy Camo for hunting, while the other 46 percent choose it because they like how it looks. The 700 MudPro has been a bit hit for Arctic Cat. 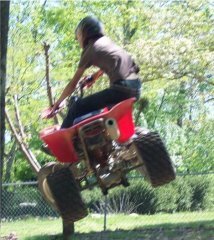 Simply put, it’s the only way to get all these mud features standard on an ATV with factory warranty. Arctic Cat feels that this niche category has exploded, as the MudPro was its top selling 700 model in 2009. Despite the current economic situation, Arctic Cat says the 2-up category continues to grow, out-pacing the ATV industry. For 2010 Arctic Cat has introduced the new TRV 700. It’s basically the same as the TRV 700 Cruiser that was introduced last year, only without the touring box, heated handgrips and windshield. It’s more in line with the popular TRV 550. Both the TRV 700 and TRV 550 are now available with new Metallic Black paint. Debuted on the Team Arctic Mud Pro 700 in 2009, the Metallic Green paint was a hit with dealers and consumers. So for 2010, Metallic Green will adorn two LE models; the 700H1 EFI and the Thundercat 1000H2 EFI. The Prowler 700 XTX in Steel Blue returns for 2010. Arctic Cat says this Side x Side is one of its most popular models. New for 2010 is the Prowler 550 XT. The XT package includes the addition of aluminum wheels, bumper and 600lb cargo box. Available in Red, Green and Lime Green.